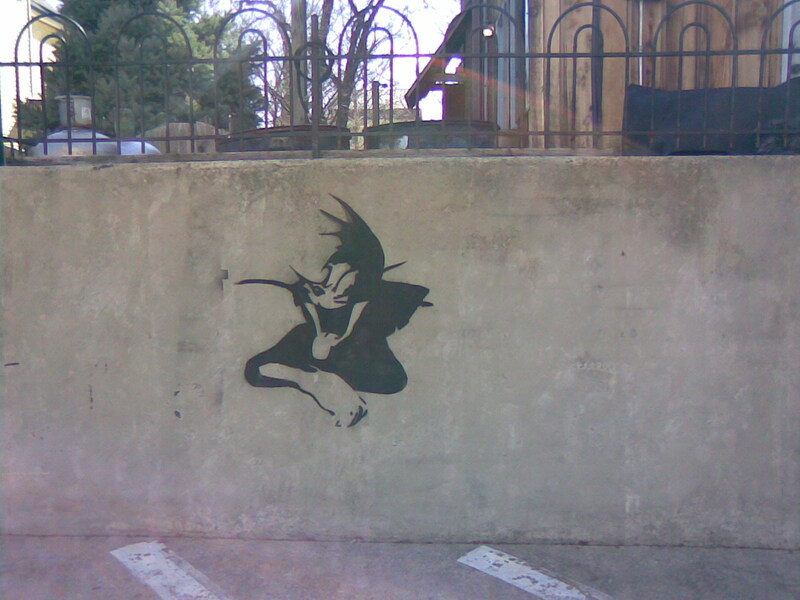 Somebody in Covington, Kentucky is using a stencil of Tom from the cartoon Tom and Jerry as a graffiti tag. This is unusual as most taggers use a free hand. First, I noticed this black stencil on the wall behind the German restaurant in Mainstrasse Village. From a distance, it looked like a star, but up close I recognized Tom. It seemed to be a few weeks before I saw any more, but three have popped up in rapid succession. There is a blue one that appears to be the same size behind a recently closed chili parlor on Fifth Street, a smaller blue one on the front of a tobacco store on Philadelphia Street, and a small green one on a planter in front of the federal courthouse. The planter outside the courthouse also says "ZEN". That writing is not stenciled, and is not where you might expect a tagger to sign his or her "work", so it may be unrelated. Just what could these graffiti tags mean? It is obvious that they are stencils from the stray paint around them. One possibility is that this is a gang symbol, but do gangs use children's cartoons? It also may be some form of guerilla marketing. If so, what are they trying to sell? I will not buy any. 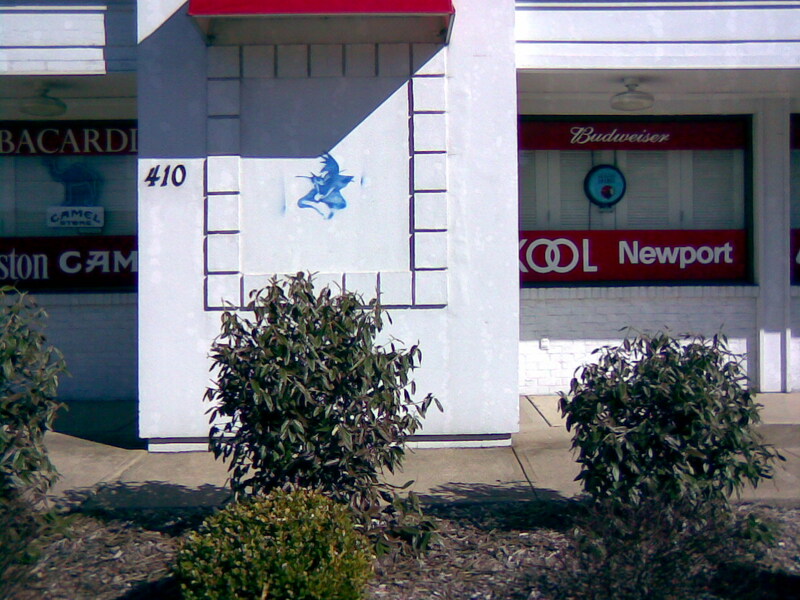 Companies using graffiti as advertising is offensive. It may be the handiwork of kids who think they are funny. I am not laughing! It is certainly not the work of an artist. 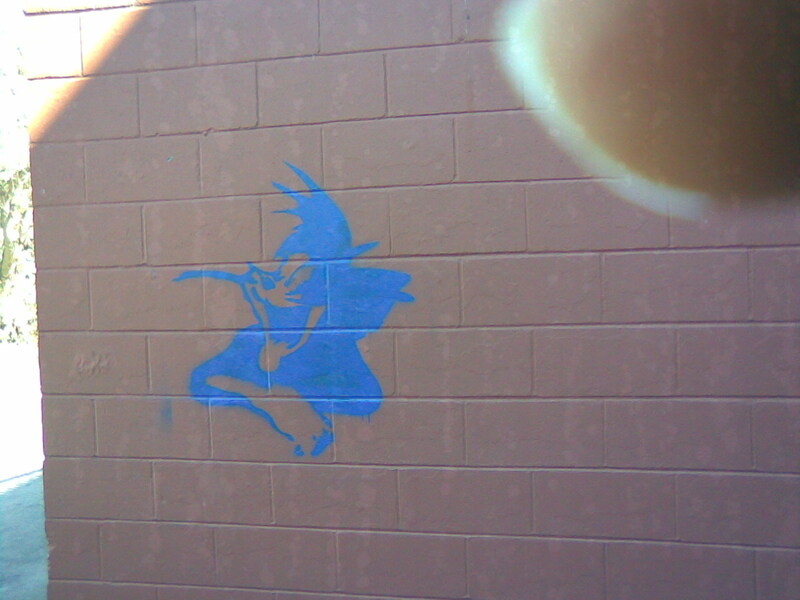 Any idiot can slap a stencil on a wall and spray paint on it. That requires no talent. This is defacement; nothing more. Whoever is doing this has not been caught as far as I know, but I am sure the Covington police would like to find those responsible. 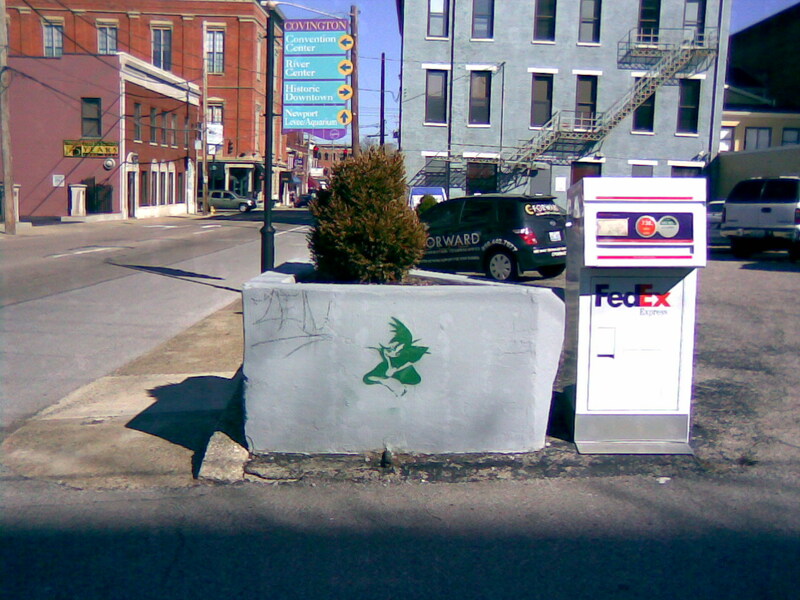 I call on the people of Covington to keep an eye out for the "Tom Tagger", and let the police know about him or her. I would recommend using the non-emergency number rather than 911. Save 911 for when a life is in danger.